CitiMortgage rates and refinance products: How do their products compare? 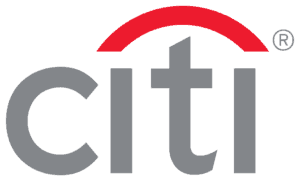 CitiGroup is one of the world’s largest financial services companies. They can trace their history back for 200 years and do business with 200,000,000 people in 160 different countries. In the United States, their CitiMortgage subsidiary handles making home loans and making refinances. Citibank mortgage refinance rate products tout a comprehensive range of both adjustable and fixed rate refinance products, making it easy for you to find the right loan for most financial situations. Average loan close time: 30-60 days. Debt-to-income ratio requirements will vary, but 43 percent is the limit most often. CitiMortgage’s minimum loan amount is $10,000, and the maximum is $8 million for well-qualified buyers who meet Citi’s high-net-worth requirements. CitiMortgage offers competitive interest rates. They allow borrowers to reduce their interest rate by paying upfront discount points. If you are planning to stay in your house for a long time and pay off your mortgage, taking advantage of this option could save you thousands of dollars over the life of your loan. To see current refinance rates at CitiMortgage, access their website. Quotes will vary by location and borrower qualifications, so for definitive rates, contact a representative. As most lenders do, Citi offers fixed-rate mortgages for 10, 15 and 30years. Something unsual about Citi is the way they let you schedule a 30 year loan. Rather than a traditional 30 year, you can lower the limit to 21 years, which is rather unheard of. People looking for a fixed rate conforming mortgage of no more than $417,000 can take advantage of CitiMortgage’s flexible fixed rate mortgage options. While people who need to have the lowest monthly payment can opt for a traditional 30-year fixed loan, CitiMortgage also offers a 15-year fixed mortgage. These loans carry a higher payment, but they also have a lower interest rate and get paid off in less time. Those who want an in-between option can take advantage of the 20-year mortgage program. 20-year loans have some of the rate discount of a 15-year loan, but their payments are much lower and more similar to a 30-year loan. Citi Mortgage offers adjustable rate mortgages, known as ARMs, which help borrowers get the lowest possible rate. In exchange for their low initial interest rates, though, they have a provision which allows their rates to fluctuate in the future. Given that the period from 2008 through 2012 has seen historically low interest rates, it is likely that rates will go up at some point in the future. Even with that risk, ARMs make a great deal of sense for borrowers who know that they will be selling their home or refinancing their mortgage before the fixed rate period ends. ARM products also make sense if your original loan is reaching its end. If you fit into this category, Citi Bank also offers adjustable-rate mortgages ranging from 10/1 ARMs to 1/1 ARMs. They will also allow you to buy discount points to further reduce your interest rate. CitiMortgage’s HomeRun loan program allows you to make a downpayment as low as 3 percent. This loan has terms up to 30 years, but most often you can land this product without having to pay private mortgage insurance. The one qualifying factor to pay attention to is that you’ll need to earn 80 percent, or less, than the median income in your area. Unlike other lenders that have limited options for borrowers who need a mortgage of over $417,000, CitiMortgage “jumbo” mortgage rates are easy to secure. They offer five different programs including 15 and 30-year fixed mortgages and adjustable rate mortgages with five, seven or 10-year fixed periods. CitiMortgage’s jumbo rates are very competitive. They will vary from time to time depending on the market, but CitiMortgage’s jumbo rates are generally very close to their conforming loan rates. This lack of a “jumbo” rate premium makes CitiMortgage an excellent choice for people who need to refinance their high balance mortgage. Homeowners who need to buy a home with a small down payment or refinance a home with an FHA mortgage can take advantage of CitiMortgage’s FHA lending program. FHA loans have relaxed credit qualification requirements, letting you get a mortgage even if your FICO score is in the low 600’s. They also let you buy a home with just 3.5 percent down and may let you refinance your home even if you owe more than it is worth. CitiMortgage has a special team of FHA experts that can help you take out one of these excellent mortgages. Your existing loan is with Fannie Mae or Freddie Mac. You have been current on your loan for the last six months and not have made more than one late payment in the preceding six months. You took out your existing mortgage before May 21, 2009. How does CitiBank mortgage rates compare to other mortgage lenders? CitiMortgage vs. Chase bank With Citibank, you’ll pay a $100 application fee and an origination fee that varies depending on where you live and what type of loan you take out. Chase bank currently offers lower interest rates and closing fees which makes this financial institution the overall winner in a head-to-head comparison. Always check current and local rates to see if this is true for your personal situation. CitiMortgage vs. PNC mortgage If your credit history is lackluster, these two banks might be worth your consideration. Both consider alternative credit, like rent history and utility payments – CitiMortgage also looks at child support payment history. If you’re an existing customer, CitiMortgage pulls ahead slightly because they offers discounts for CitiMortgage customers. PNC does not currently advertise existing customer discounts. be eligible for a streamlined refinance option which means no closing costs or application and appraisal fees for the customers. And while CitiMortgage offers deals for their existing customers, too, it’s important to compare these two lenders head to head to see who can offer the best deal. Compared to Wells Fargo, CitiMortgage falls short with their online experience – applying for a loan cannot be done entirely online. At some point it will require loan officer involvement to complete the process. Refinancing can be a wise financial strategy, but you’ll need to know your end goal before determining which product is right for your refinance. There are different, more suitable products depending on if you’re trying to reduce your monthly payments, reduce the cost of your overall loan, secure financing for a major financial milestone or something entirely different. For homebuyers trying to save money on their loan, fixed rate mortgages tend to be the best option. Equity is the amount of money your home is worth subtracted by how much you owe on your mortgage. So, if your current mortgage balance is $90,000 and your home value is $200,000, your equity is $110,000. The amount of equity you’ve built in your home can affect your refinance options. You can take advantage of cash out refinance options or HELOCs to secure funding for a major life milestone, or pad your savings. Refinancing doesn’t make sense for everyone. There are many fees associated with refinancing. If you are unable to pay the closing costs, you might consider a no closing cost loan – a way to refinance without putting money down. However, these costs can increase the overall cost of a loan. If refinancing will end up costing you more over the life of the loan, or increase the time you will be paying your mortgage off, it might not make sense for you to move forward with the refinance. The breakeven point is the amount of months that it will take you to pay off your refinance. In order to get this figure, you take the total amount of closing costs for your refinance and divide it by the amount of money you will save on your monthly mortgage payments. The sum of this equation will tell you the amount of months it will take to recoup the costs of refinancing. If your loan will be paid off, or if you plan to move before you reach your breakeven point, it might not be a wise financial decision to refinance. Given their long history and global presence, it is not surprising that CitiGroup’s CitiMortgage division is one of America’s largest and most active lenders. They have loan products to serve everyone from main street borrowers in Manitowoc, Wisconsin to jumbo borrowers who need to finance a seaside retreat in Malibu, California. Their flexible terms and varied products make it easy for you to find the perfect refinance and to take advantage of today’s uniquely low interest rates.